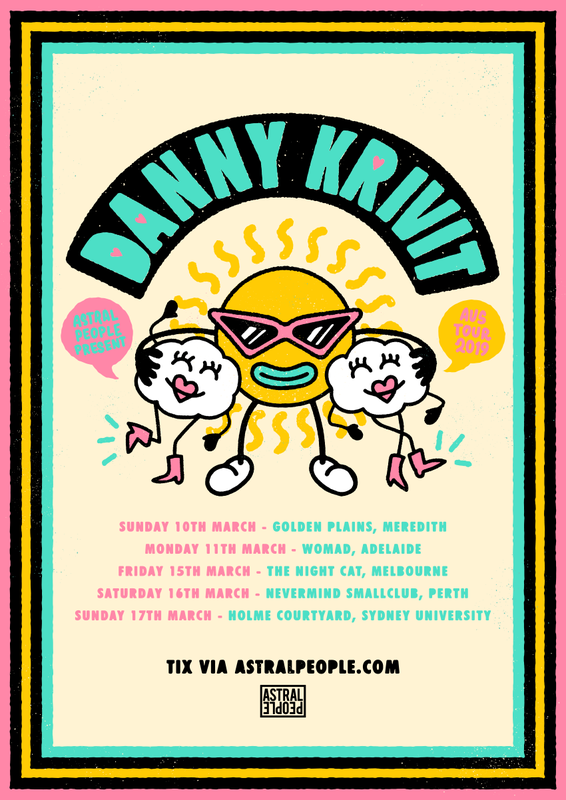 Astral People are proud to announce Danny Krivit Daytime Dance! Heralding the return of Greenwich Village DJ and master selector Danny Krivitto Sydney, the Daytime Dance on March 17th will also feature sets from Boogie Monster & Ariane. Growing up in New York in the 1960s, Danny was surrounded by music. His mother was an accomplished jazz singer and his father was the manager of legendary jazz trumpeter Chet Baker before going on to open up “The Ninth Circle”, a Village hot spot, where Danny worked as a boy. It was here that Danny met some of the most influential people in the music scene; Janis Joplin, Jimi Hendrix, Charlie Mingus, John Lennon&Yoko Ono. Surrounded by music on all sides, Danny started collecting vinyl and slowly moved into the DJ scene, eventually meeting DJ David Mancuso and becoming acquainted with The Loft. From here, Danny honed his craft and gained a reputation as a master of the art, bringing soul and disco to dancefloors all throughout New York. Through the 80s and 90s, Danny helped produce music with a number of big names such as James Brown and MFSB, while continuing to work as a resident DJ at some of New York's biggest clubs. He also founded his own events, Body & Soul and 718 Sessions, which have attained legendary status over time. Now Danny is bringing his (almost) 50 years of dancefloor knowledge to Sydney for this special daytime party at Holme Courtyard, Sydney Uni. Joined by Boogie Monster & Ariane, Danny Krivit Daytime Dance is set to be a beautiful day in the sun.